At WALKER CONCRETE & CIVIL, our goal is to not only help you design your partial or complete landscape package, but make the process easy and enjoyable for you. We are a full-service design/build company with a wide range of experience. We can help you with all phases of new home exterior construction or remodelling: finding/procuring suitable materials, and landscaping your yard. Our excellent reputation and long list of satisfied clients attest to our superior craftsmanship, attention to detail, clear communication, honesty and integrity. Decorative Concrete is an expression of a person by taking a blank canvass adding to it ,making it a bold and functional statement of representation of their home. We provide those possibilities to make it happen. Our Services to you : Decorative Concreting installations from new Exposed Aggregate to Stencil Spray pave onto existing concrete. 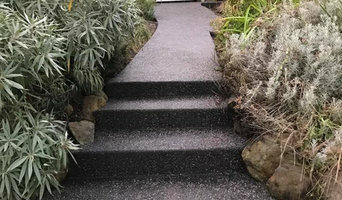 Flexible and Rigid Paving of Brick,Cobblestones,Slate or Stone Paving Landscaping of Hard Features such as Retaining Walls,Concrete Plinths or Timber Features and Soft Landscapes of Garden beds, borders,edges and lawns. All Aspects of Domestic Decorative Concreting as well as Hardscapes including but not limited to: Retaining Walls, Tight Access Earthworks, Decking, and Paving. Warner Brook Concreting are Perth's concreting specialists, with over 40 years of experience. Specialising in a number of concreting mediums, Warner Brook Concreting can do it all; exposed aggregate, honed concrete, liquid limestone, coloured concrete, patterned concrete and coloured limestone. 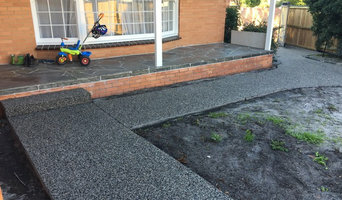 We offer a variety of quality services including the supply and installation of garage floors, driveways, pathways, pool surrounds, house extensions, council crossovers, council pathways, school sporting courts (basketball, tennis, cricket), boardwalks, and other unique one off concreting jobs. Warner Brook Concreting provide professional, quality services both residentially and commercially. Call us today! HydroCon the permeable paving specialist was established in Sydney in 2001. Derived from German technology, HydroSTON permeable pavers are manufactured locally and are the only free draining permeable concrete paver on the Australian market. HydroSTON pavers from HydroCon allow rain and stormwater to infiltrate directly into the ground, reducing stormwater runoff, improving water quality, tree health and urban micro-climates. Fully permeable HydroSTON concrete pavers are used for: driveways, parking spaces, carparks, laneways, footpaths, walkways, courtyards, plazas and tree surrounds in residential, commercial and industrial applications. HydroCON are also suppliers of HydroCERA permeable ceramic pavers. We are Perth's leading decorative concrete company specializing in exposed aggregate, honed aggregate and poured limestone to pool area's including the seamless pool edge, driveway and patio areas. We work on both residential properties and for boutique builders such as Novus Homes, Coast Homes, Gold Style Homes and Boss Homes. All work is carried out in house so we can guarantee 100% quality control. 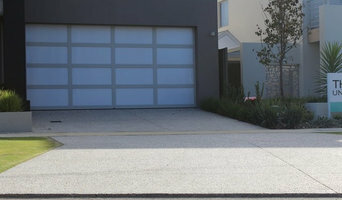 Concrete West are the preferred concrete contractors of builders, architects and landscape designers throughout Perth. With many successful years experience, we offer a reliable service and premium finish. Concrete West is equipped to undertake commercial and residential projects of all sizes from design through to installation. 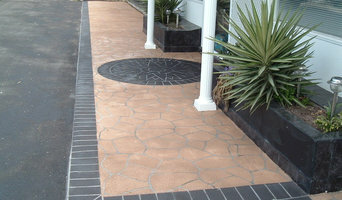 We can custom design and install your concrete driveway, pool surround, alfresco or courtyard. We also lay concrete house slabs, suspended slabs and shed slabs for clients throughout Perth. SDii Group provides professional and reliable contracting within a complete range of building and construction stages. Our comprehensive offering actively includes: -Hardstand Solutions -Landscape Construction -Construction Maintenance -Limestone Retaining & Walls Founded on over 16 years of industry specific experience, SDii Group specialises in all aspects of a complete range of decorative concrete, segmented paving and related industry services. We specialise in travertine, limestone paving and are authorised installers of PGH Cultured Stone. We install all types of stone to fireplaces and feature walls. 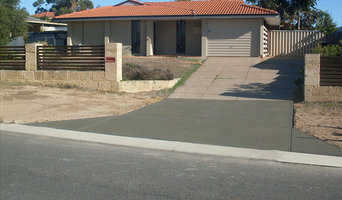 Concrete Painters is one of the recognized and trusted experts service providers in Western Australia. We specialize in all forms of paver and concrete cleaning, coloring and resealing your driveway, home or patio area a new fresh look to both residential and commercial properties. We are Highly committed to quality and value for money, as well as a strong focus on customer satisfaction. Visit our website for more details.